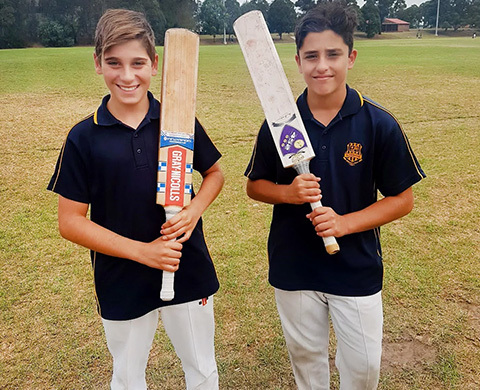 Congratulations to Jeffrey Badrous (pictured right) who set a Rosebank College record last Thursday in their Junior Cricket match against Holy Spirit Lakemba. Jeffrey scored the highest individual score ever by a Rosebank College student when he smashed 137 not out. Furthermore, he combined with Luca Zappia (pictured left) for an unbeaten 201 run partnership, which also set the record for the highest partnership in the history of cricket at Rosebank College. Well done boys!